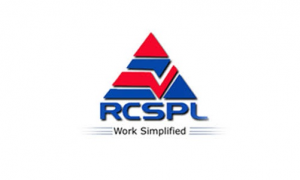 Riddhi Corporate Services (RCSPL) offers its services to telecommunication service providers. It provides services of Data Management, Collection and Handling of Customer Application Form (CAF), Audit of CAF, order entry of CAF, CAF Barcoding, Inward, Storage and Retrieval of Data, Temporary Indexing, Data Entry, Scanning, uploading and Sample image Audit at Spoke Level. In addition, Riddhi Corporate Services renders services of Collection of Dues, Retention, Bill Delivery management Services along with over dues amount from subscriber by way Tele calling, Field visit, Address the Customer's Issue and retain the Customer, Escalation Management while collecting Overdue Amount. During the FY 2012-13, the company has also started rendering services to Banking sector. It undertakes Address Verification (AV) and Credit Verification (CV) - Verification of Residence and Office of borrower and/or co borrowers or/and Guarantors (if any). Visit the applicant’s residence and office and office address and confirm the residential and employment status of the applicant. Assess the details as mentioned by applicant to Bank while applying for a loan, standard of living of the applicant. Assess the ease of approaching the address. Identify the name and the relationship of the person met at the applicant’s address. The company is also engaged in Business Process Outsourcing (BPO) to serve the needs of Telecom, Banking, Govt. Institutions, Insurance Companies rendering services to Telecommunication Service provider, Banking Sector, Non Banking Financing Institutions, E-Wallet Service provider etc. Riddhi Corporate Services IPO allotment status is now available on Purva Sharegistry's website. Click on this link to get allotment status.